Fees ($250 for operation, plus $50 per bike, for 250 max) and fleet requirements, such as number of locked-to bikes. Insurance and customer service requirements. The Streetsblog article posted below goes into more detail about the shape and location of the fleet. The Streetsblog article posted below goes into more detail about the shape and location of the fleet. 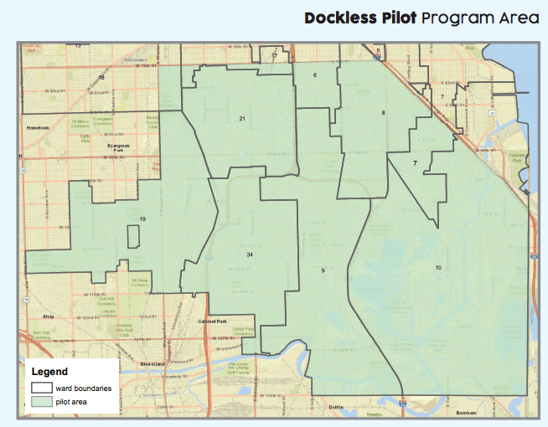 The City of Chicago also has a “Dockless Bikeshare Reporting Manual” that sets out the requirements for GBFS feed availability and the monthly data submissions to the city.